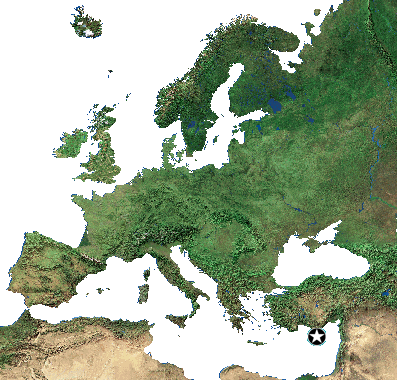 Cyprus was a natural stop on the trail between Europe and Middle East. It was therefore colonized by Egypt, Greece, Rome, Byzantium in ancient times, the Ottoman Empire in the Middle Ages, and finally in the 19th century by Britain. In the long history of Cyprus for more than two thousand years the island remained under the influence of Greek and Byzantine culture and later for nearly three centuries of Turkish, to finally become a British colony. A society deprived of freedom felt naturally attached culturally and linguistically to the Greeks. On January 15, 1950 the plebiscite was held in which majority of the population voted for union with Greece. Ten years later the Republic of Cyprus was proclaimed. In 1974 the Turks took by force 1/3 of Cyprus, where they announced in 1983 the Turkish Republic of Northern Cyprus (recognized only by Ankara). The division of the island has become a fact. The Republic of Cyprus is a member of the UN since 1960, the European Union since 2004 and in 2008 it joined the euro zone.